Lightning is a second-layer solution for the Bitcoin blockchain that addresses the scaling issues surrounding it today. Similar to Bitcoin, Lightning is an open-source protocol in which anyone can contribute to. Whether it is through programming and developing applications or setting up a node, participation in Lightning is not just accessible. It’s welcomed. The Lightning community is already vibrant and growing every day. Pierre Rochard is one person who has already cemented his place in the Bitcoin community as a strong advocate for the digital currency, founding the Bitcoin Advisory in 2013. More recently, his work with Lightning has garnered plenty of attention through his suite of Lightning applications. Specifically, Rochard’s Lightning plug-in integration for Microsoft Excel showed the world that Lightning has a place in commonly used applications. The Lightning plug-in uses neutrino, a sidechain solution whose purpose is to allow for interaction with Bitcoin’s global transaction history without downloading the entire blockchain. Specifically, neutrino was designed to facilitate this on devices with low-power processors, limited storage or bandwidth, and intermittent power — essentially, a good fit for an Excel spreadsheet. As for the use-case of this application, Rochard has mentioned in the past that it is for “power users” who are highly familiar with the technologies being used and not for the everyday user. Nonetheless, its general purpose is to send Lightning payments from an Excel spreadsheet. Rochard’s suite of Lightning applications is a testament to the progress being made in developing Bitcoin’s second-layer solution in the first year of its existence. In the following interview with Bitcoin Magazine, Rochard discusses his Lightning plugin as well as the bigger picture of Lightning as it relates to the global adoption of Bitcoin. In the months since he announced that this plugin can run a full node within the spreadsheet. Rochard has created a node launcher GUI to help people set up a Lightning and Bitcoin node locally for the plugin to connect. “My initial experimentation with the Excel plugin was that it would have a Lightning node bundled with it and running inside of it, using Neutrino instead of a full node,” said Rochard. But there was a problem with that set-up. Neutrino is not implemented on mainnet, so it can’t be used with real bitcoins yet, meaning that no one would be able to use the Excel plugin with real bitcoins. Satoshi’s white paper describes a process called “simple payment verification” (SPV). But SPVs have never actually been implemented. Right now, using this compromise process, a wallet will send a list of transaction IDs to a node and query all information relating to those transaction IDs. The trick is that not all of those transaction IDs that the SPV wallet is sending to the node are actually from the SPV wallet. Instead, the list includes a bunch of random information in addition to the actual queries it’s actually interested in. This action is meant to preserve some privacy since the node doesn’t know which piece of information is the specific piece it is looking for. It just knows it’s somewhere in there, hidden in a crowd of other bits of information. With Neutrino, the full node sends what’s called a “block filter,” which is essentially a short summary of a bitcoin block, to the “light client” and checks if specific transactions or addresses of interest have a match in this filter. Of course, Neutrino isn’t as secure as the Bitcoin blockchain itself. Specifically, it doesn’t validate all protocol rules, it just checks the transactions in a specific block. In other words, it doesn’t verify the 21 million bitcoin limit, which opens up doors to compromises on security. “I would strongly emphasize that there is simply no substitute for running your own full node,” said Rochard. “Really, the Neutrino functionality is kind of a convenience/UX improvement, but it it does compromise on the properties of Bitcoin.” That was the other motivation for this node launcher that Rochard created. He wants the people with the bandwidth capabilities to run a full node to be able to do so. Rochard projects that the growth of Lightning will follow a similar path, but first, users will need tools that allow them to work with the protocol. 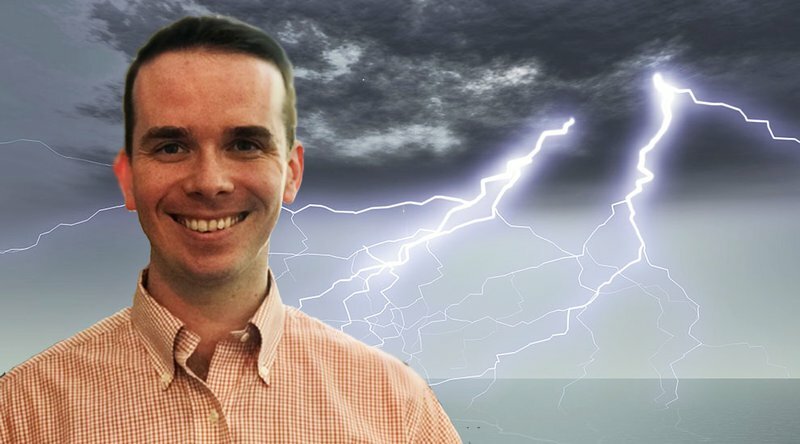 Participating in a recent Lightning residency at Chaincode Labs was a pivotal moment for Rochard and turned him from being “cautiously bullish” to a “cult-member, indoctrinated-fanatic” of Lightning. There, he met a software developer at Bitmex who gave the impression that, while Lightning was on Bitmex’s radar, it wasn’t a priority from a development perspective. “Now within the next couple of years, they’re going to have a Lightning feature,” Rochard suggested. “That much is clear. So, I think that, you know, it’s not within the next six months but within the next few years, exchanges are going to have Lightning features. Looking ahead, Rochard said that, when it comes to exchanges, Lightning adoption will continue to evolve; users will find themselves using bitcoin on-chain in the meantime. In the future, however, as the capacity of the Lightning Network increases, using Lightning for everyday transactions on exchanges will become automatic.